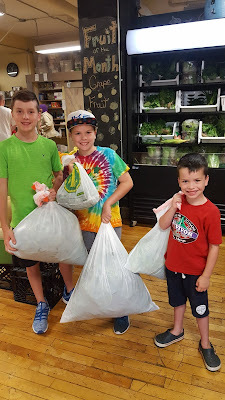 We dropped off the first harvest of the season which included spinach, lettuce and basil to the Parkdale Food Centre today! The centre was hopping with activity as guests were awaiting lunch and volunteers were busy in the kitchen preparing fresh and tasty food. Such a fantastic community resource this centre is! It is a shining example of how all food banks could be operating.